That is the new war cry of everyone from food manufacturers to financial institutions as more and more people take on the responsibility for preserving our environment. As citizens of the world, each of us is responsible for the health of our planet. Our choices and our actions contribute to the wellbeing or deterioration of the environment. Yet, it is our earth, the only one we have. If we don’t care about the environment, who will? 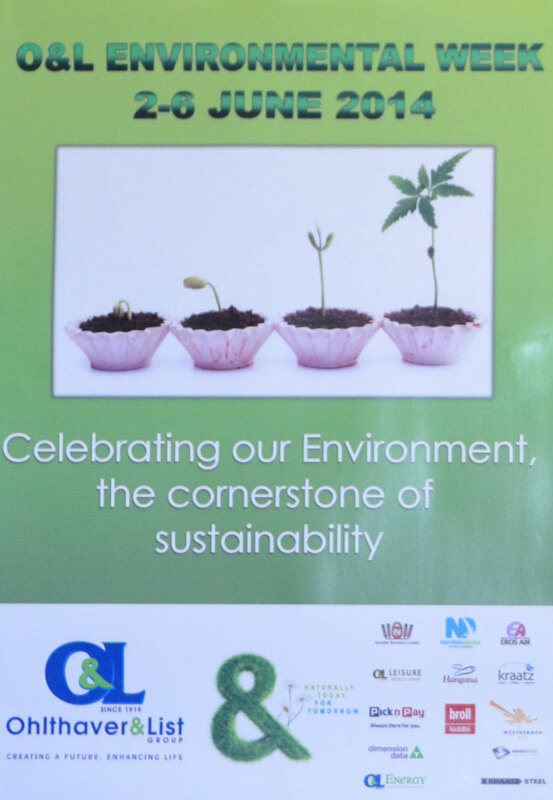 To this call, employees across the Ohlthaver & List (O&L) Group of Companies participated and engaged in various activities in support of the Group’s Environmental Week which coincided with World Environment Day that was celebrated on the 5th June. A number of initiatives included the O&L Centre employees who each received a Pick n Pay Green Shopping bag as part of the O&L Environmental Week celebrations courtesy of Pick n Pay Namibia – a subsidiary of the O&L Group of Companies. 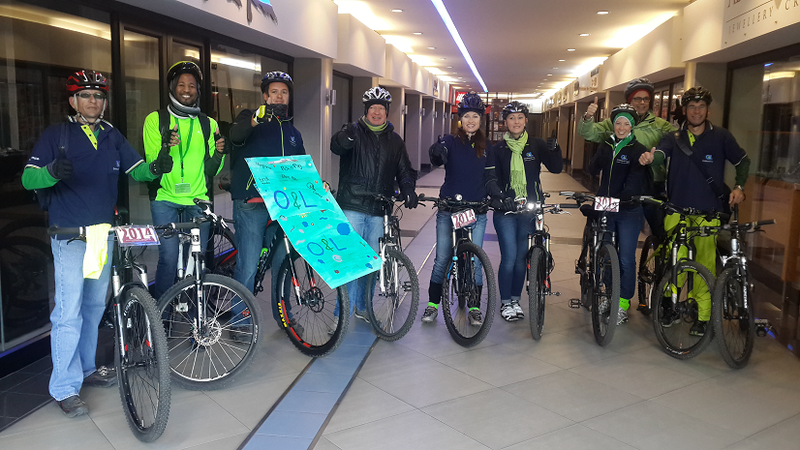 “The Centre employees also braved the cold weather on Friday 6 June, and cycled to work. Our Executive Chairman, Sven Thieme joined in this fun activity”, said Gariseb. The Broll Namibia Forest Fairies distributed Pick n Pay Shopping bags to all their tenants and educated the tenants about recycling as well as the environmental care in general. Employees at Namibia Breweries Limited (NBL) received Recycling Starter Packs courtesy of Rent-a-Drum to kick-start recycling in their homes and at work. OLC Enviro Challenge 2014: O&L Centre Employees braved the cold on the morning of June 6th to cycle to work in an effort to create awareness for the O&L Environmental Week and reduce their carbon footprint. 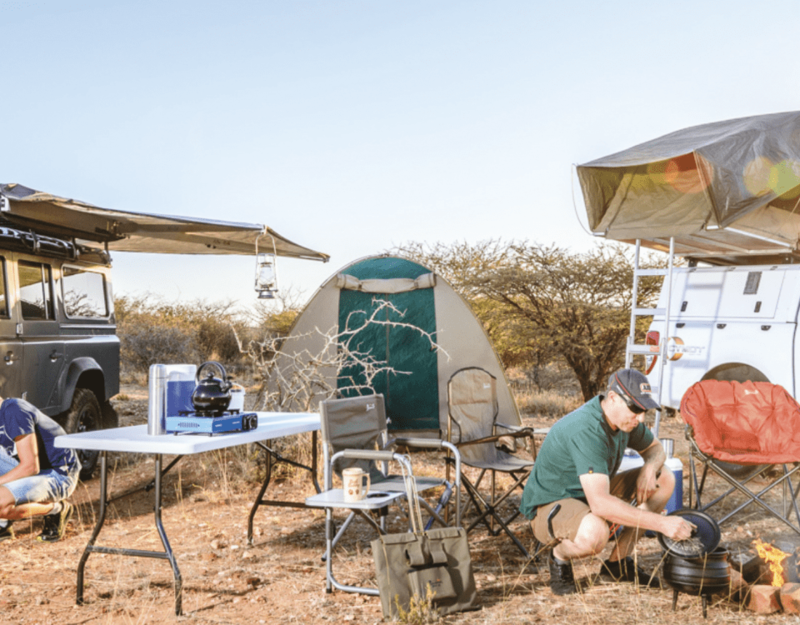 Fltr: Giovanni Baumann; Stefanus Gariseb; Martin Theron; Sven Thieme; Patricia Hoeksema; Amanda van Zyl; Anja Becker; Armin Wieland; and Martin Krafft. 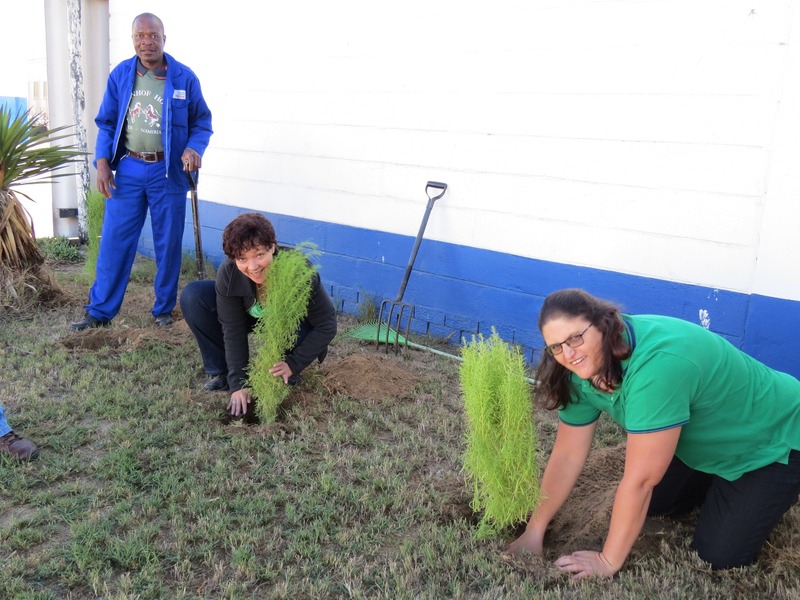 Hangana Seafood employees planted trees and created awareness on World Environment Day amongst fellow employees while Pick n Pay Namibia stores across the country were branded with little caps. In addition, several of their branches handed out Green Bags to customers and educated them about the importance of saving plastic bags. A brand new Pick n Pay store was further opened on World Environment Day at Okongo in the Ohangwena Region, where the first few customers received free Pick n Pay Green shopping bags. Lastly Mokuti Lodge Employees held a successful clean-up campaign around the lodge. 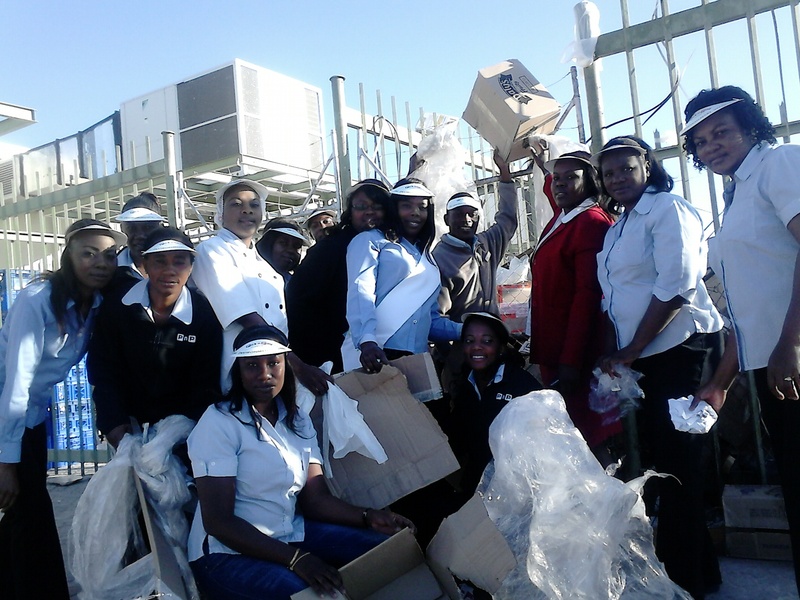 Pick n Pay Oshana staff seen here collecting boxes and plastic wrappers which come from packaging of merchandise in store. They have taken it upon themselves to collect the materials and reuse for repackaging stock or recycle as needed. Around 50 million tons of paper is consumed annually by Americans, more than 850 million trees are cut down. Each year, over 63,000 square miles are destroyed resulting in more than half the world’s tropical forests being lost.